Boeing helicopter production will drop sharply in the fourth quarter of 2020. 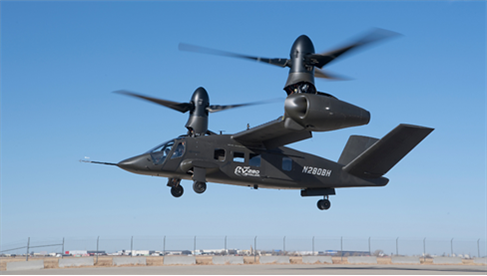 A new generation of rotorcraft is being developed and Boeing will probably get revenue from these programs but its profit margins will be smaller. Rotorcraft does not drive the stock price but the lower profits will lower the value of Boeing stock. Nevertheless, the earnings decline is about 2%. This is a hold. Boeing's (BA) 4500 person Pennsylvania plant will produce 53 Chinooks this year. After Oct 2020 that will drop to 4. The Arizona plant will stop Apache new built helicopters. The army is cutting back existing programs to fund it new projects. It anticipates that both existing programs will be replaced by new designs sometime in the future. Boeing and the local congressional representatives are lobbing to stop the cut. Officially, Chinook modernization has only been delayed five years. However, it is unlikely that five years from now production of the Chinook will be restarted. Boeing's success in rebuilding the helicopter in business depends upon getting new development programs, which will be challenging. It is unlikely that the new work will be cash cows like the Chinook and Apache. This issue should come up at the first quarter earnings call. The long-term helicopter loss of $12 billion is about 2% of annual net income. Boeing is a hold. The Army is funding its new programs by cutting existing modernization in the fiscal 2020 budget. The Chinook CH-47F Block II is the biggest cut. The Chinook is a Vietnam War copter that first flew in 1961. Boeing has managed the enhancements well so the average Chinook is 7 years from its last remanufacture. The Bock II increased the cargo capacity by another ton. The block ll flew in March and Boeing has a contract to build 11 units. The program envisioned remanufacturing another 600 units, which would have produced roughly $12 billion in revenue in the next decade. The decline in the Apache will reduce revenue in the next five years by about $800 million. The two aircraft are shown below. They were both designed to carry a twelve-man infantry squad replacing the Sikorski HU 60. The Bell V 280 flew on schedule by December of 2017. It has reached a cruising speed three hundred and twenty two miles per hour. This craft uses a fixed wing with a propeller that rotates ninety degrees for vertical takeoff. It is a lower cost, third generation version of a plane designed in cooperation with Boeing, the V22. The Sikorski-Boeing craft did not fly until fifteen months later in March 2019. 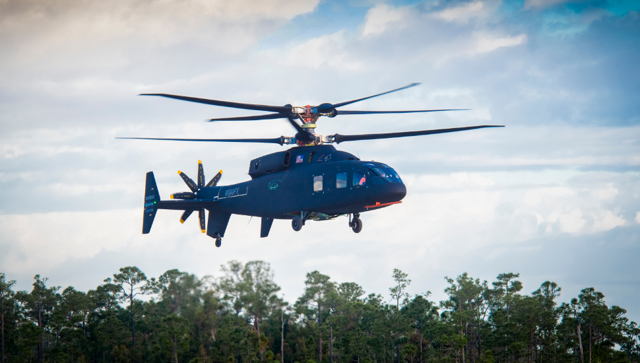 It is a Sikorsky design that Boeing signed onto after its technology demonstrator failed. The Sikorski design has two counter rotating blades and a rear pusher propeller. This allows for much higher speeds than normal helicopters. It is expected to fly about forty miles an hour slower than the Bell version spec. The FVL program envisions an analysis of the two technology helicopters followed by a round of prototype and evaluation. Production would begin after 2030. The Army does not agree. It wants new aircraft much faster. The problem with common technology across a large difference in function is becoming clear. 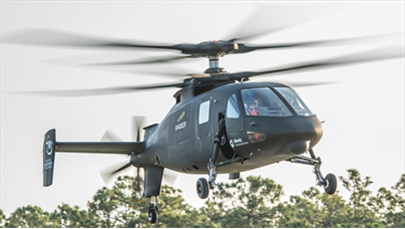 The Army is promoting two copters run by the Army FVL program staff. The Army expects to select 4 to 6 venders for FARA study contracts by June, two of which will be selected for prototype development. Boeing will bid separately as will Sikorski, Bell and some smaller companies. Sikorski developed the S-97 to both prove out its dual rotter concept and compete for an earlier reconnaissance helicopter. It has been flying for three years, giving Sikorski an advantage. The FARA will have capacity for six passengers. It will be relatively inexpensive compared to the Chinook. The FARA will replace Apaches used for reconnaissance. The FLRAA is being defined. The key question is will it be a longer-range version of the Technology Development copters or will it be carry as many troops as the current Chinook G version? It is unlikely that Boeing could bid on this alone. It would probably be a joint bid using Sikorski Technology. Boeing is very likely to get contracts as a joint venture junior partner and possibly alone. However, it is unlikely that the revenue will be as high as it is now and the profit margin will not be as great. This is not going to swing the stock but it will lower the value of the stock. Nevertheless, this will lower net income 2%. This is a hold.